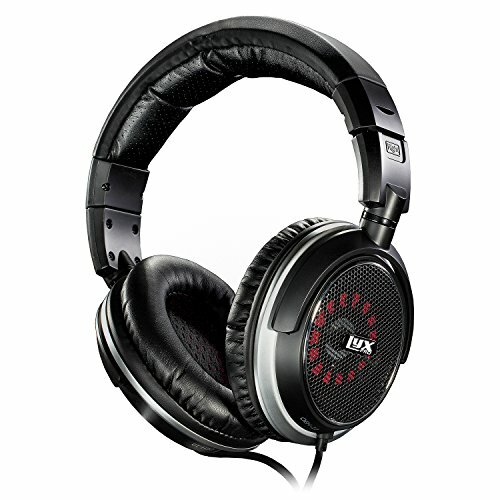 The overall most comfortable headphones on our list are the LyxPro OEH-10 Open Back Headphones. These headphones have a thick headband padding, flexible ear cups, and interchangeable ear pads that provide hours of comfort. They are even comfortable for people with large heads or large ears, who may have trouble with other comfortable headphones. They have excellent sound quality, in an open-back design that allows some external audio to create a more natural listening experience. The LyxPro OEH-10 Open Back headphones can be worn for hours at a time, or every day at work, and be enjoyed for years to come. However, not everyone wants open-back headphones. Some people want to exclude the external environment for the ultimate in concentration, relaxation, or enjoyment. In that case, the Bose QuietComfort 35 (Series II) wireless headphones are the best choice. With three levels of noise cancellation, and an ergonomic, comfortable design, these headphones let you eliminate discomfort and distractions and focus on what matters. 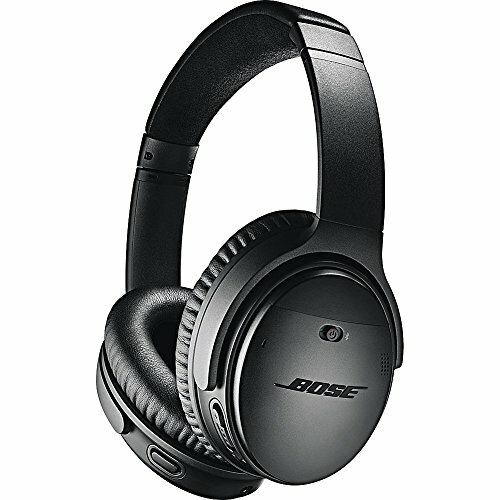 They are also Alexa-enabled, and compatible with the Bose Connect app for additional settings and customization. The soft, flexible body of the Panasonic ErgoFit is complemented by the soft tips. They come with a choice of sizes, so you can find the one that's right for you, and they fit comfortably and securely in the ear. Even better, these earbuds provide great sound quality for the size, with crisp trebles and rich bass. They come in a great range of color options, and you can choose a cord with or without a built-in microphone. The terms “noise isolation” and “noise cancelling” (also often called “passive noise cancellation” and “active noise cancellation”) are used a lot when talking about headphones, and it's helpful to better understand these technologies. Noise isolation/passive noise cancellation refers to the physical properties of the headphones, particularly the ear cups. Ear cups that completely surround the ear (“over ear” design), and have dense, foam cushioning naturally protect the ear from external noise. They also help prevent sound “leaking,” where the people around you can hear the sound from your headphones. Closed-back headphone designs also help to improve noise isolation, by fitting more closely against the back of the ear and preventing the exchange of sound from the headphones and the environment. Finally, it's worth noting that many noise-cancelling headphones also use that feature to improve the clarity of your voice when using the built-in microphone. The noise-cancelling technology can reduce unwanted or background noise in your calls, and improve the sound quality of your voice. If you frequently take or make calls in noisy environments, and people have trouble hearing or understanding you, it may be worth looking into noise-cancelling headphones with noise-cancelling microphones. 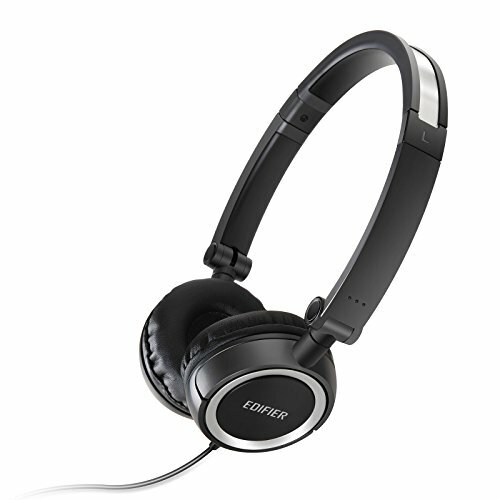 Noise cancellation/active noise cancellation is a digital technology that is built into some headphones. Noise cancelling technologies “listen” to the surrounding environment, and then produce a compensating audio signal within the headphones that is designed to “cancel out” the external sound. By creating a sound that is the opposite frequency of the external sound, these headphones help your ears reduce and eliminate distractions. Noise cancelling always works best when the external noise is a constant sound, like the sound of an engine, because then it is easier for the headphones to produce a steady compensating sound. They work less well with sudden, unpredictable spikes of external noise, like loud conversation or varying noise levels in music or movies. These quickly changing frequencies can be difficult to cancel out because they are unpredictable in tone and volume. Many audio purists do not like noise-cancelling headphones, because they feel that the noise-cancelling audio frequency created by the headphones interferes with their enjoyment of the sound they are listening to. Lower-quality noise-cancelling headphones have a slower response time, so you may hear an audible delay between the new sound and the compensating sound, and these sound “flickers” may be more distracting than the original noise. Also, lower-quality sound-cancelling headphones may create a white noise sound that people find distracting or unpleasant, and active noise cancelling does nothing to prevent audio leakage. Because these terms are often used incorrectly or interchangeably, remember that active noise-cancelling headphones always require batteries or a power source to produce the cancelling audio, while noise-isolating headphones do not need a power source. And, at least with our current technologies, noise-cancelling headphones will always work best to eliminate the sound of an airplane or subway engine, a room fan, or other continuous external sounds, rather than varying peaks of sound. Many headphones combine both technologies in order to eliminate external sounds passively and actively. The Edifier H650 headphones have a lightweight design and soft leather ear cups for lasting comfort. The adjustable headband is flexible to conform to many head shapes and positions, but is reinforced with stainless steel for durability. They have 40mm neodymium magnet drivers for clear, high-performance sound, and fold down for extra portability. They also have a long 10-hour battery life. These headphones come in a wide range of color choices, and are backed by a 12-month warranty. The Edifier H650 headphones are attractive and affordable, with a long battery life and lightweight, compact size that makes them a great companion on long flights or tough workouts. The soft, flexible, adjustable headband is designed for lasting comfort, and the padded ear cups conform to the ear. They have good sound quality and are extremely comfortable for the price. The Avantree 40 hr Wireless Wired Bluetooth over ear headphones have super soft protein ear pads, and a padded, adjustable headband for great comfort. The high resolution sound provided by the aptX Hi-Fi technology creates rich bass and clear treble. They can be used wirelessly, with an impressive 40-hour battery life, and the built-in mic and control features can be paired with two phones at once. Or you can use the wired mode to conserve battery and use them for an unlimited amount of time. The ear pads are replaceable, should they wear out, and the headphones are backed by a 24-month warranty. The Avantree 40 hr Wireless Wired Bluetooth over ear headphones have a lightweight design and padded, adjustable headband for lasting comfort. The cushioned earpads are comfortable, and also replaceable when they eventually wear out. They can be used in wired mode, or wirelessly with a super long battery life. These versatile headphones can be connected to multiple devices in multiple ways, making them useful in multiple ways and for multiple audio needs. The COWIN E7 Active Noise Cancelling Bluetooth headphones have both style and comfort, with a vivid color palette, shiny chrome, and a variety of color options. These headphones have super soft protein earpads and ear cups that swivel up to 90 degrees, for great comfort. The padded headband is adjustable. 40mm large-aperture drivers produce deep bass, and crisp, powerful sound. Active noise cancelling is ideal for commutes, long flights, and reducing distractions from outside noise. Built-in microphone for hands-free calling and easy Bluetooth pairing with your devices. The battery lasts up to 30 hours for long-lasting comfort and enjoyment. The COWIN E7 Active Noise Cancelling Bluetooth headphones are designed for lasting style and comfort, with a great look and large, soft ear cups that rotate up to 90 degrees for comfort and easy portability. The long, 30 hour battery life and active noise cancelling make them great for long flights, where you can listen to your own high quality audio with minimal distractions. The Mpow 059 Bluetooth headphones have a stainless steel slider and softly padded headband provide both comfort and durability, while the memory-protein ear cushions simulate the texture of your skin for incredible comfort. These headphones provide immersive Hi-Fi sound with a CSR chip and a 40 mm driver. The thick ear pads, designed to fit snugly over the ear with a closed-back design, provide excellent sound isolation. They can be used in wireless mode, with a Bluetooth connection, built-in microphone, and hands-free calling, or use a wired connection to preserve battery power. These headphones are perfect for travel, folding down to be stored in the included carrying pouch, and with a battery life of up to 20 hours. They come in several stylish colors and have a sleek, rugged design that is sure to please. The finish is UV resistant and has an anti-scratch coating for lasting good looks. 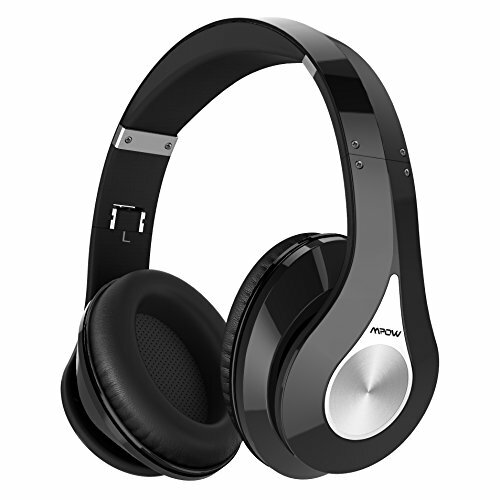 The Mpow 059 Bluetooth headphones have a great look that is designed to last, and are comfortable as well. The padded ear cups and head band conform comfortably to your ears and head, excluding outside noise and ensuring good audio quality from the headphones. The stainless steel band is designed to last, and the finish is coated for extra durability. They can be used in a wireless or wired mode, depending on your preference, pair easily with your devices, and allow hands-free calling. These headphones do a great job of balancing comfort with style, and versatility with durability. 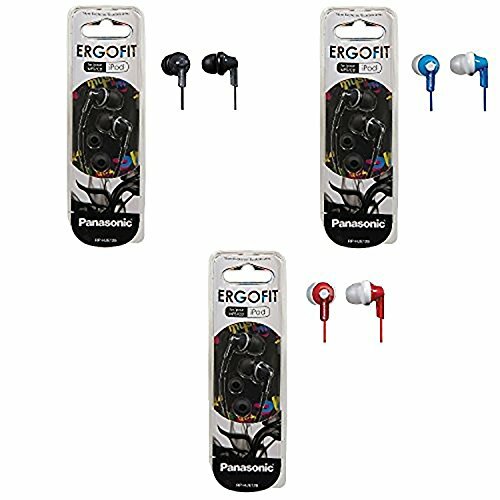 The Panasonic ErgoFit In-Ear Earbuds headphones come in your choice of colors, with or without a microphone, and every pair comes with three sets of ear tips so you can find the perfect comfortable fit for your ears. These tiny in-ear speakers have 9 mm neodymium drivers for rich, clear sound with natural trebles and full bass tones. The 3.6 foot cord gives you plenty of room to move, and the ergonomic design keeps the earbuds stable in your ears throughout a wide range of motion. 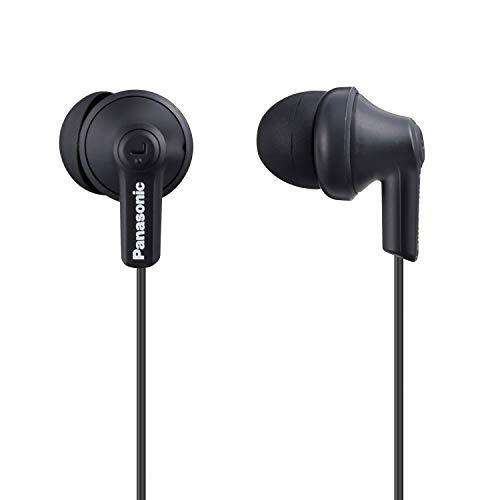 The Panasonic ErgoFit In-Ear Earbuds headphones are ergonomically designed, with ear tips that securely fit in place for lasting comfort and stability in the ear. They come with different sized tips so you can find the right one for you, and you have a choice of color. You can also choose a version with a microphone for calling. Like all ear buds, the slender wires eventually become less reliable over time, depending on how you use and store them. The Bose QuietComfort 35 (Series II) wireless headphones have three levels of world-class noise cancellation, that not only provide you with the quietest possible listening environment, but exclude noise from the built-in microphone as well, so your calls are crystal clear. The richly padded ear cups and headband provide lasting comfort, and 20 hours of battery life let you exclude noise and distractions and enjoy your own audio in comfort all day. The volume-optimized EQ system creates clear, balanced sound at any level. They are Alexa-enabled, so you can get the information you want without ever looking at your phone, or use the Bose Connect app to manage all your settings, share your music, and customize your headphones. They come with a carrying case, charging cable, and audio cable so you can enjoy them wired or wireless. The Bose QuietComfort 35 (Series II) wireless headphones have world-class noise cancellation, with three levels to suit whatever your environment may be. The microphone also has noise cancellation, so your voice is always clear. Built-in compatibility with Alexa and with the Bose Connect app make these headphones even more versatile, useful, and customizable. They can be used with Bluetooth or with the included audio cable to preserve battery life, but with 20 hours of battery life it may not be necessary. 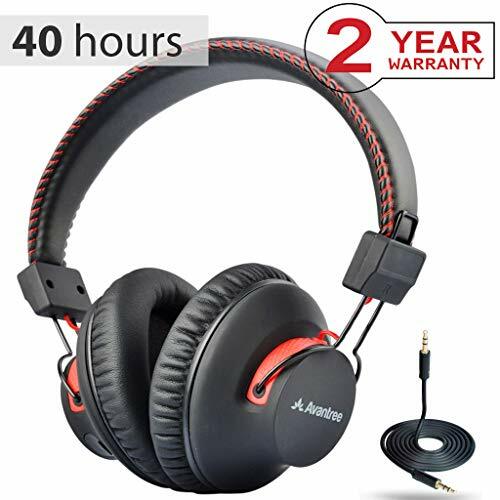 These are a great choice for comfortable headphones that will provide you with the quiet you need to eliminate distractions and focus on what matters. The Avantree DG59 Wireless PS4 Gaming headphones are compatible with PC games, PS4, and the Nintendo Switch. 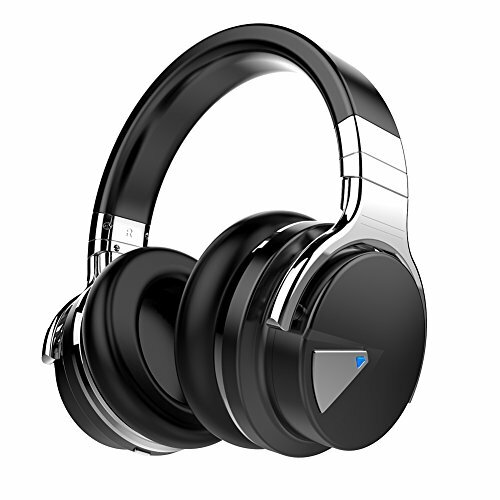 These Bluetooth headphones are plug-and-play, because they come with their own pre-paired Bluetooth transmitter. Unlike many Bluetooth headphones, the Avantree DG59s allow simultaneous VOIP conversation and seamless in-game audio, for all your social gaming experiences, and the super-fast low audio latency, you never miss a thing. They have a padded, stretchable headband for a perfect, customized fit, and are ultra-light weight, so they will stay comfortable for all 40 hours of the battery life. You can also use them as wired headphones, to simply enjoy music and movies in comfort, but using them in wired mode disables the microphone. The Avantree DG59 Wireless PS4 Gaming headphones have all the great features gamers need, with lasting comfort in a light weight, adjustable design. They allow you to easily hear and respond to in-game audio and voice conversations at the same time, and have low latency so your game or movie experience isn't disrupted by lag time. They come with their own transmitter, so there are no drivers to download, and the 40-hour battery life allows you to enjoy them for as long as you want to. The Sennheiser RS120 On-Ear Wireless RF headphones come with a sleek, stylish charging dock that doubles as a wireless transmitter, for an attractive setup in any environment. These go beyond headphones, to a whole new RF audio environment for your home, office, or studio. Using the RCA outputs of your DVD or Blu-Ray player, DVR, satellite or A/V receiver, computer, MP3 player, or television, the base converts the audio and transmits an RF signal to the headphones. They create interference-free reception through obstacles such as doors, walls, and ceilings for up to 300 feet. They can also extend the range of remote controls through obstacles from up to 120 feet away. The RS120 base can be used with the included headphones or send a signal to multiple compatible headphones for multiple users to enjoy at once. The transmitter is automatically turned on and off when it receives an audio input, and charges the headphones when they are mounted on it, for up to 20 hours of battery life. With this system, you can enjoy wireless audio from any analogue source without worrying about range or cord length. 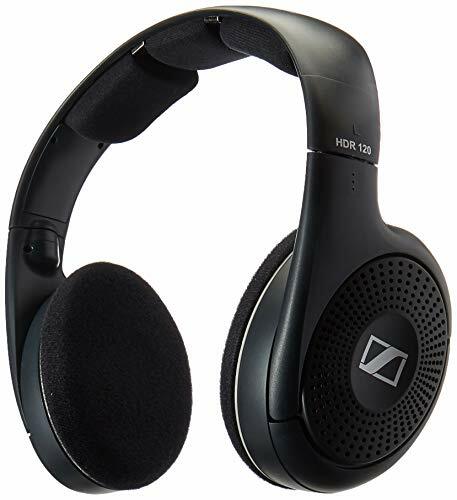 The headphones are lightweight and padded for comfort, and give classic Sennheiser performance. Sound is clear and detailed, with great balance and bass response. They are backed by a 2-year warranty. The Sennheiser RS120 On-Ear Wireless RF headphones bring a whole new wireless audio experience to your home, office, or studio. The system converts analogue audio signals into RF signals that can be transmit to the headphones over distances of up to 300 feet, even through obstacles, and also recharges the impressive 20 hour battery life. The sound is everything you would expect from Sennheiser; it's clear, rich, and detailed, adding an immersive aspect to movies, music, and games. 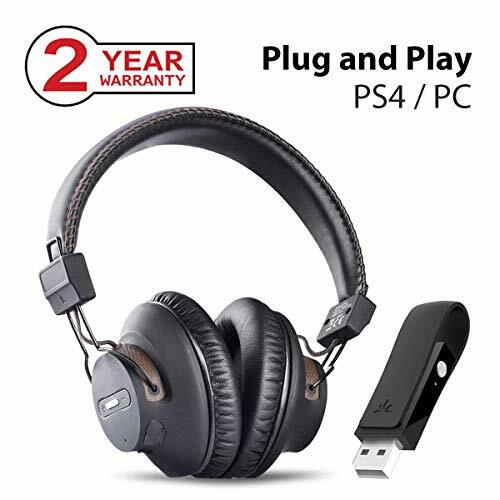 You can purchase additional headphones and connect them to the same transmitter for shared experiences, and the lightweight, padded, ergonomic design provides lasting comfort. The LyxPro OEH-10 Open Back headphones have a more natural, open design that allows you to hear your private audio without blocking out the outside world. The cushioned foam and fabric ear pads are comfortable and interchangeable if necessary, and have a flexible fit. The headband is cushioned with leather, adjustable for comfort, and has a stainless steel sizing scale for durability. They come with an 8 foot cable with steel spring strain relief, and gold plated stereo plugs and adaptors for high-quality audio signal. The sound is natural, dynamic, and spacious. The ear cuffs rotate for portability, and they come with a carrying pouch. The LyxPro OEH-10 Open Back headphones have a natural, open spacious sound that doesn't completely block out your environment. They have an extra-long cable, steel reinforcements, and high quality connectors for excellent audio quality. The cushioned cups and padded headband are adjustable and flex for lasting comfort, and they fit even large heads. 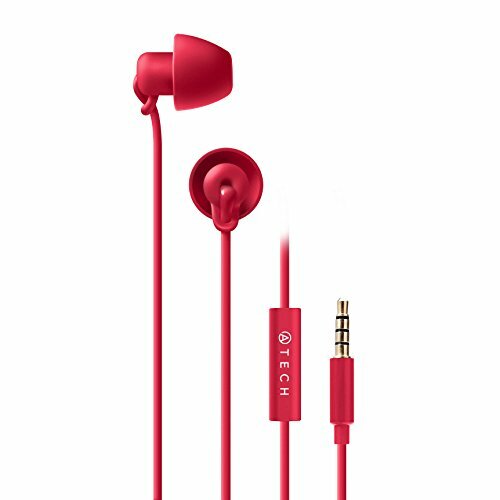 The ATECH Ultra Flexible Silicon Sleeping earbuds are designed for sleeping, with a highly flexible silicone body that is comfortable in any position. The small, in-ear design is comfortable even for side sleepers, and the tangle-free wire stands up to repeated overnight use. The extra soft, flexible ear tips form a good seal to reduce external noise and deepen sleep. They have a built-in microphone and easy remove for hands-free calling, and come in a choice of classic colors. They come with a 30-day money back guarantee, and a 1-year warranty that can be extended to 3 years with registration. The ATECH Ultra Flexible Silicon Sleeping earbuds have small, soft, flexible tips that sit securely in the ear without pushing or slipping out, even for side sleepers, and they exclude external noise. The flexible, silicone body of the earbuds provides lasting comfort without interfering with sleep, and the cord is tangle free. These are a great choice for those who want to block out external sound without creating ear pressure or discomfort. While many headphones are comfortable for short periods, they can become uncomfortable over long wear. Poorly padded headbands, pressure in or over the ears, or a heavy weight can cause discomfort and strain. These headphones are designed to not only to be comfortable for a few minutes, but to be comfortable and provide listening pleasure for hours. If you need long-term comfort, choose the most comfortable headphones and relax.